OK, this is kind of lame and weird at the same time. 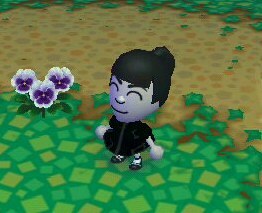 Following on the creation of the Avarthrel characters as Miis, here’s Faira as she appears in Animal Crossing: Let’s Go to the City. I have to say that the game doesn’t quite have the appeal of other games in the series, but it’s still a rather nice game to waste time on. Not bad waste of time, actually. Kind of funny, at some times. And, of course, the game has a shady fox in it. Okay, why the heck is Faira in a kid-friendly game? I have no idea. Perhaps she just enjoys seeing cute animals. Or perhaps she’s just trying to learn to fish. I mean, that’s what her parents did. I usually play as my primary character in the game, but I wanted to create a second character just for the heck of it. And here’s one! …no wonder the thing was so cheap. 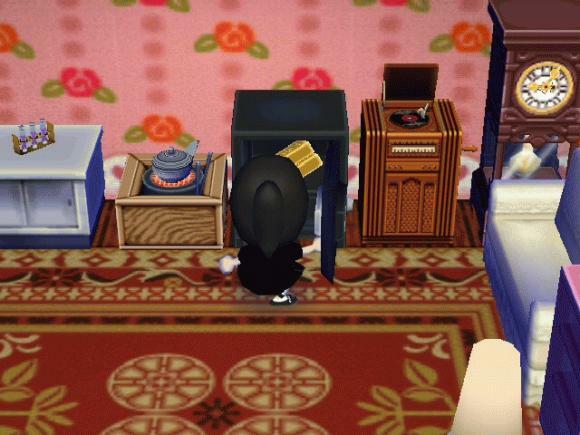 I wonder if I can find a fence in this game that would gracefully sell gold bars worth a few million Bells?